When sickness overtakes a person, doctors will diagnosis the patient trying to find the root causes of the problem so that a cure is found. Knowing what caused the malady will help the physician cure the individual. This is especially true for the spiritual man who is afflicted with the disease of sin. The cure has been offered through the blood of Jesus Christ removing the deathblow of sin. Among the many symptoms battling against the cure is the sickness of pride. Man has a tendency to try to heal himself, which is impossible. Many resist the message of hope in the gospel of Christ because they will have to give up their prideful spirits. Determined to find their own way, they persist in rebellion. Sadly, without the great Physician, there is no hope. There can be no remedy for sin until man understands his place with God. James shows the need for man to remove his prideful spirit coming to the Lord with a heart of humility. The roadblock men face is having to submit to God. They refuse to bow themselves before the Lord believing they are greater than the Creator. Life is filled with problems and challenges and men bring their own misery upon themselves failing to seek the mercy of God for help. There are key elements in the cure for sin as James shows in our text. Submission to God is paramount, Drawing near to Him rather than trying to mold God into our own image. Finding remorse in the state of sin draws a man towards saving grace. Humbling the spirit is where man will find the greatest exaltation. Salvation must begin with humility. Submitting to God is letting go of the will stubbornly wanting to seek its own way. Sorrow for sin requires filling the heart with humility as mercy flows deep within the soul. Man must let go of himself. Drawing near to God is where joy is received as man finds the blessings of a forgiving Father. 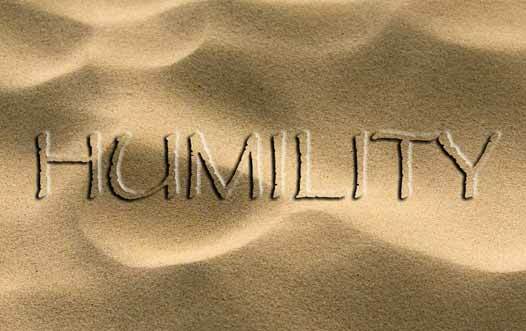 Pride drives man away from God but humility draws him towards the grace of the God. It is hard for man to let go. Faith is seeing what is unseen and believing what cannot be explained but faith fills the heart with a hope that God never lies. His promises are always true, His word unchanged and His grace abundant. None of this can be realized until man humbles himself. The experiment of the human experience has always failed. Man looks for the cure of humanity within himself and always finds nothing. The reason for his failure is man failing to understand that when he exalts himself the angels laugh. God has promised that when we submit to Him, draw near to Him, and humble ourselves in the sight of the Lord we will find our worth. The value of life can only be found in the exaltation given by God. Submission means that we trust God. Drawing near to the Father expresses our love for His will. Humbling ourselves in the sight of the Lord is agreement that joy can only be found in serving the Lord God. Allow the word of God to guide your life and you will find happiness.